Originally published under the title "Might a Palestinian State Be Acceptable Eventually?" 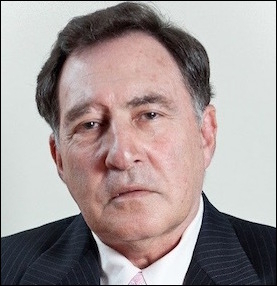 Martin Sherman, executive director of the Israel Institute for Strategic Studies, has devoted a new column, "Why Palestinian Statehood Obviates Israeli Victory," to hashing out his and my differences over something we fundamentally agree on, the goal of Israel victory. This is the idea that the "peace process" has turned into a "war process" and that the solution to the Palestinian-Israeli confrontation lies not in more painful concessions by Israel but, to the contrary, in Israel imposing its will on its enemy and crushing the Palestinian dream to eliminate the Jewish state. Washington should encourage its Israeli ally in this. Ironically, losing is the best thing that could happen to the Palestinians, for it liberates from a destructive obsession and allows them to focus on constructing their own polity, economy, society, and culture. To advance this idea, the Middle East Forum, the organization I head, has worked with members of the U.S. House of Representatives to launch a Congressional Israel Victory Caucus (CIVC) to lobby the president. Sherman hails CIVC as "an initiative of critical importance with genuine paradigmatic game-changing potential." 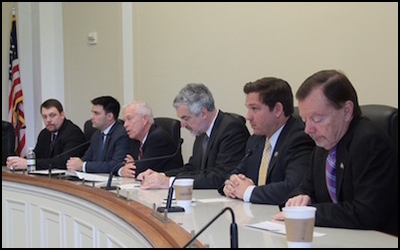 The Congressional Israel Victory Caucus launch on Apr. 27, 2017. From the left: Gregg Roman, E.J. Kimball, Bill Johnson, Daniel Pipes, Ron DeSantis, Gary Bauer. But, as his article title suggests, Sherman takes issue with my view that "when Palestinians do finally give up the fight against Israel, their centrality to the conflict will enfeeble anti-Zionism from Morocco to Indonesia. ... A Palestinian defeat marks the beginning of the end of the wider Arab and Muslim war on Israel." 1. Anti-Zionism existed long before Palestinians even became a central issue after Israel's seizure of the West Bank and Gaza in 1967. My reply: True, of course. But the forthcoming 50th anniversary of the Six-Day War makes it particularly germane to note how much attitudes have changed over time. No Arab government today calls for the elimination of the Jewish state; all of them focus instead on "Palestine." That's already a huge change which an Israel victory will further firm up. Muslim antisemitism is based less in Islamic doctrine or history than in tactical needs for fighting Israel. 2. There's no way a demilitarized "micro-mini statelet ... established as the result of a humiliating defeat, would defuse the ample Judeophobic frenzy rampant across the Arab/Muslim world today." My reply: "Judeophobic frenzy" is an apt term for the nearly ubiquitous antisemitism found among Muslims. At the same time, it is mercifully superficial, based less in Islamic doctrine or history than in tactical needs for doing battle with Israel. Under the right circumstances – that is, with the battle ended and Palestinians quiescent – it could well be dropped. 3. Who among the Palestinians, he asks, is "authorized to sign a binding document of surrender" with Israel? My reply: Defeat does not require a signature on a piece of paper: Did the U.S. government sign a surrender document in Vietnam or the Russians in Afghanistan? More importantly, defeat reflects a change of heart that permeates up. Vox populi, not officialdom, is the key. 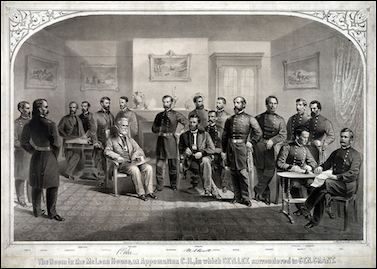 How the Palestinian-Israeli conflict will not end: The U.S. South's surrender to the North at Appomattox in 1865. 4. Pointing to polls that show about 30 percent of West Bankers and about 50 percent of Gazans wishing to emigrate, Sherman concludes that it won't be hard to convince Palestinians to leave. My reply: Even accepting these high figures as correct, two factors will render this project ineffectual: social pressure/threats of violence and no governments willing to absorb Palestinians. On principle, Arab and Muslim leaders will not take in Palestinians; the rest of the world tends to be wary of mostly unskilled emigrants coming from violence-prone backgrounds. Therefore, Sherman's "funded emigration paradigm" cannot be central to the Israel Victory Project. Finally, leaving the door open to a Palestinian state has another benefit in the United States. Sherman acknowledges that the idea of an Israeli victory and Palestinian defeat is "daring," even "revolutionary." To some, however, it is shocking; for example, J Street calls it "medieval" and "truly terrifying." So, to make Israel Victory appealing to a wide swathe of Americans, I wish to make it as palatable as possible. That means including the possibility – when the war is well and truly over – of a Palestinian state. I hasten to add that this is not an immediate prospect, for the conflict must be totally over, something that is at least decades away. But the option is a healthy one. I thank Martin Sherman for the invigorating debate and suggest that we close it here.